ADATA introduces the new XPG SX950 SSD with 3D NAND flash featuring speeds of up to 560MB/s read and 530MB/s write. ADATA also introduces the EX500 2.5-inch drive enclosure with high-speed USB 3.1 interface. The XPG SX950 SSD uses 3D NAND flash driven by a SMI controller offering capacities of up to 960GB. The SSD uses a custom ADATA PCB with an extra-strict chip sorting process that guarantees the SSD can handle prolonged high demand for both PC and consoles. To prolong SSD lifespan, ADATA includes data shaping and wear leveling algorithms in the firmware. RAID Engine is supported for easy integration in drive arrays. 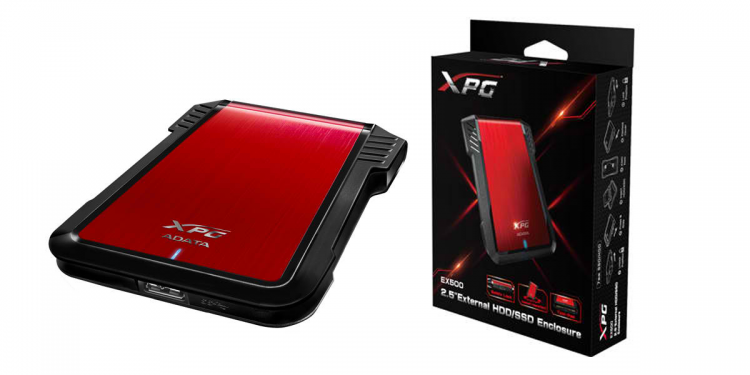 The XPG SX950 SSD offers performance reaching up to 560MB/s read and 530MB/s write. The SSD is also a thin profile at 7mm thick. There will be an included 2.5mm spacer for the SSD to convert it to the standard 9.5mm thick 2.5-inch drive. 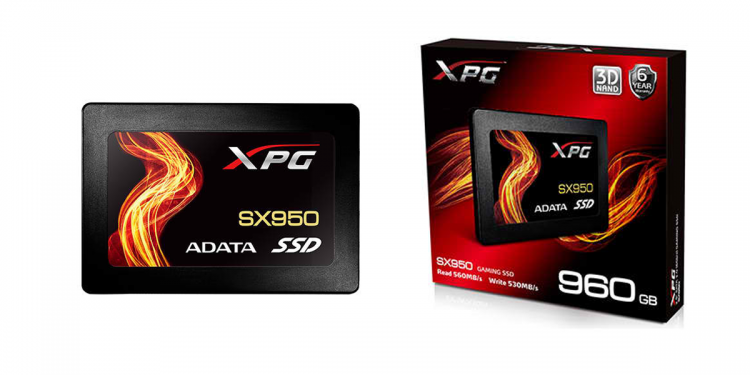 ADATA offers a limited 6-year warranty for the XPG SX950 SSD series. The ADATA EX500 offers a stylish, durable, and easy-install enclosure that pairs instantly with desktops, notebooks, and game consoles via high speed USB 3.1. It also features a tool-free installation wherein you can install a 2.5-inch drive into the enclosure within minutes. A lock on the side of the EX500 allows for quick swapping of drives. Dimensions (L x W x H): 125 x 90 x 17 mm / 4.5 x 3.5 x 0.6"